For more information on becoming an exhibitor or sponsor at the Mobile Dev + Test Conference, please contact our sales team at 904.278.0524 or email [email protected]. 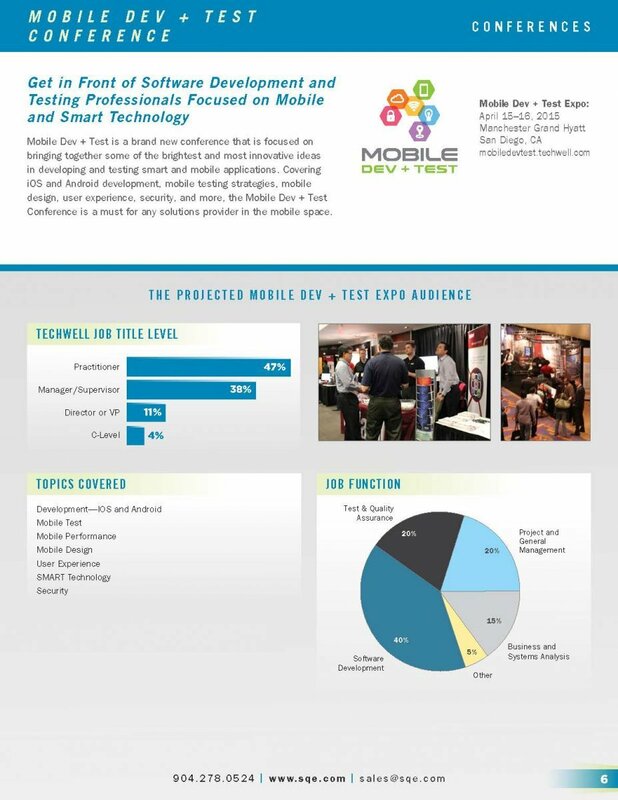 The Expo, April 15–16, gives vendors direct access to Mobile Dev + Test delegates. Companies with mobile development and software testing products and services will certainly benefit from direct sales interaction with this highly targeted and motivated audience—the majority of whom spend at least 60% of their work effort managing or implementing mobile development and software testing.